Aside from the cultural heritage of its historic center or the great college town atmosphere, the French city of Toulouse in the Midi Pyrenees region, is also known as the city of science. Since the late nineteenth century its history has been linked to the development of the aviation industry and is now known worldwide as the home of the European company Airbus, which manufactures commercial models as the current standard, the impressive A380. 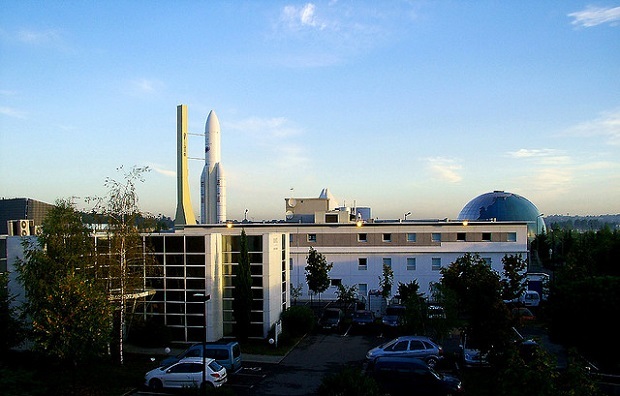 Reflecting this aircraft tradition, it’s not surprising that one of the attractions that await you on your visit to Toulouse is the Space City, a theme park located on the outskirts of the city. Opened in 1985, it receives 275,000 visitors a year. 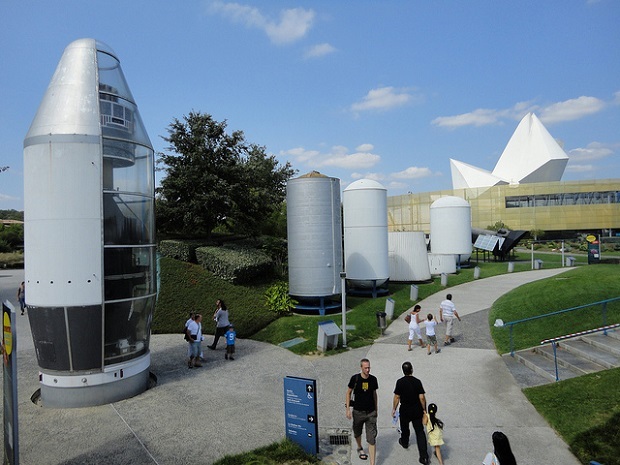 In Space City you will find exhibitions in pavilions and in the outdoor gardens where you can see authentic spaceships. 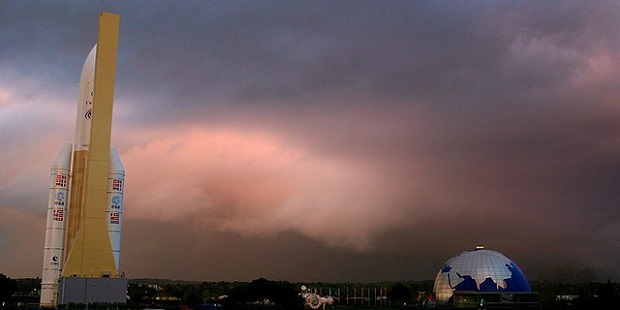 There are also audiovisual shows, taking place in familiar spaces and Estelario Planetarium. 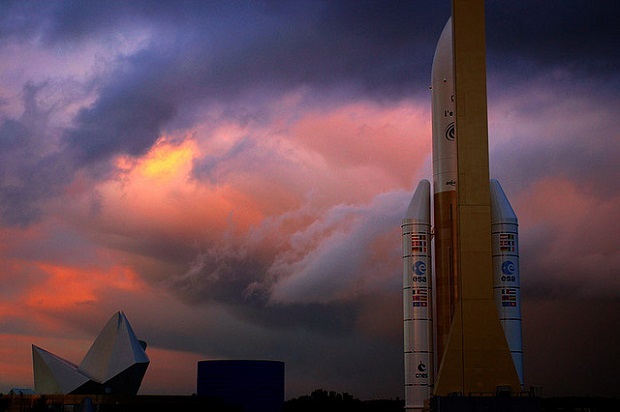 Undoubtedly, with the first appeal of your Space City visit not only will you see stunning spaceships such as Ariane 5, but also enter them, where you can meet the most curious aspects of the daily life of astronauts who have lived. You can do this for the inside of the Soviet Mir station, or even the ability to sit as a crewman in the incredibly cramped interior of the first generation Soyuz capsule used in the space adventure since 1967. Some of the features of this theme park are the highly interactive and didactic sense of exposures in their different subject areas, which certainly makes it very suitable for visiting families. For example, in the area dedicated to the moon you can do a simulation of the low gravity you find to get around walking on its surface. On Mars, you can feel the force of the wind on the planet, compared to how it felt on Earth. Other thematic areas are dedicated to the stars or to astronomy. When I visited the park this summer they had a temporary exhibition dedicated to Mars, with information on the exploration of this planet and various models, highlighting the actual size of the Curiosity rover moving across its surface. Also check out up to three IMAX films of 45 minutes each. In addition it is worth noting that in this park you will find all the information boards and posters translated into several languages. Space City photos: globalgypsy2011, Guilhem Vellut, Pierre Olivier Mazoyer.